Welcome to Albionni Hong Kong Limited previously trading as Elite International-Hong Kong. We at Albionni-Hong Kong are full service custom tailors and provide a complete wardrobe planning service according to your career, business and social needs. We specialize in making exclusive tailor-made suits, tuxedos, blazers, sports jackets, pants, topcoats and shirts for men and ladies. All our bespoke garments are hand cut and individually tailored in our own workshop in Hong Kong, a city world famous for fine custom clothing, by our in-house master tailors using only the finest quality imported cloths and materials. We will assist you in selecting fabrics and coordinating your wardrobe - keeping in mind your personal style and fit preferences. We will do our best to make sure your wardrobe looks better, fits better and feels better than any other garment available. 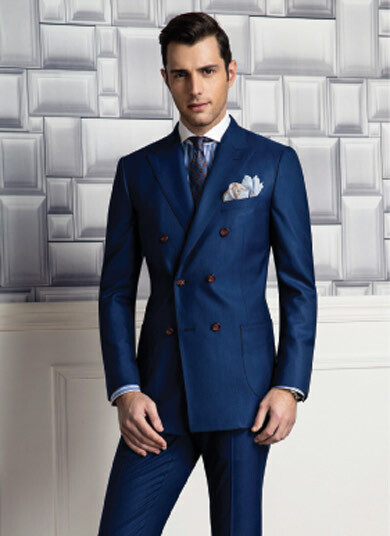 When choosing a men's suit, you will appreciate the difference of personally tailored bespoke suits by Albionni-Hong Kong. Albionni-Hong Kong guarantee's that you will be utmost satisfied in dealing with us. We guarantee our cloth, workmanship, fit and prices. Nothing short of perfection is a hallmark of an Albionni Hong Kong label. Moreover be at peace when dealing with any of our representatives worldwide. They are of highest integrity, thoroughly trained fashion designers who will do their best to satisfy your needs. With Albionni (HK) Limited you are always in safe hands.